Czech author Karel Čapek passed away on Christmas Day exactly 79 years ago. 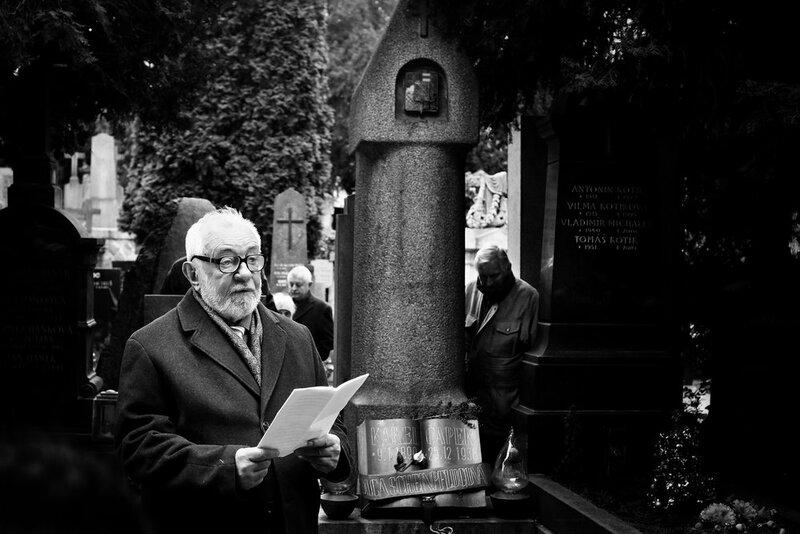 Like every year, the Čapek Brothers Society organised a memorial service at the Vyšehrad Cemetery in Prague. This year, the annual speach on the author's place in today's society was given by prof. Václav Pavlíček from the Faculty of Law of Charles University.